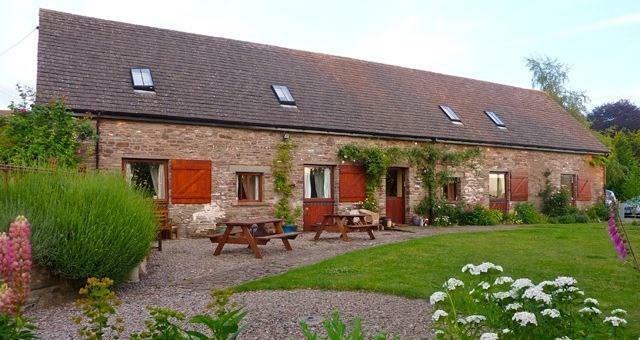 Situated on the outskirts of Talgarth (6.5 miles from Brecon) Powys within the Brecon Beacons National Park, Old Radnor Barn offers charming 4 star Bed & Breakfast accommodation with three bedrooms in a 16th century converted stone barn. We hope that you will enjoy your stay with us. By Road: Just off High Street, a short distance from the Talgarth roundabout, on the A479 Talgarth Brollys relief road. From the north, we are 2.5 miles from the A470 at Lyswen. from the south, we are 10 miles from the junction of the A40/A479 at the Nant y Fin Cider Mill Restaurant, which is 2 miles north of Crickhowell. From the east, we are 3 miles from the junction of the A438/B4350 at Glasbury. From the west, we are 6.5 miles from the junction of the A40/A470 at Brecon. Train: Abergavenny (19 miles) / Hereford (30 miles). Bus: Stop 300 metres away. We offer a collection and drop off service to all transportation hubs including Cardiff Wales airport by prior arrangement. Level access stone/concrete pathways, lit after dusk, no steps.Ground floor accommodation. Parking 15 meters from entrance. Sensor lighting on approach after dusk. Internal g/ floor suitable for wheelchair users. A variety of spot lights, occasional and vanity lighting. Automatic dusk to dawn low level, ambient security/safety lighting in hallway. Telephone available for use in rooms. 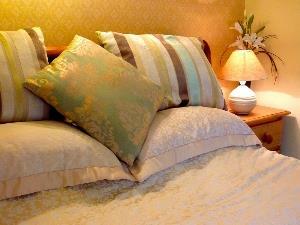 WIFI internet access in all rooms. Basic visitor information can be made available in large text format.